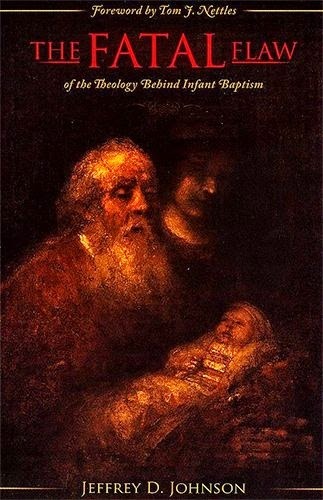 As a pastor I have done a lot of reading over the years about the doctrine of baptism, including reading numerous works that defend the doctrine of infant baptism, especially from the standpoint of my Reformed paedobaptist brothers. In fact, I received my M.Div. from Covenant Theological Seminary (PCA), a Reformed seminary that holds to paedobaptist views. I am indebted to these brothers for a great deal, and I am glad that so many Reformed Baptist and Presbyterian believers have been open to working together for the sake of the Gospel. It does my heart good, for example, to see men such as R.C. Sproul and John Piper side by side at conferences that seek to promote Biblical theology and true Christian devotion. As a matter of fact, Immanuel Baptist Church - where I serve as an elder - has always welcomed our Reformed paedobaptist brothers and has enjoyed great fellowship and mutual encouragement in the faith with them. I read this book while I was in seminary and struggling to sort through the matter. It was especially helpful to me because it responds to the arguments for infant baptism from the standpoint of Covenant Theology. It helped me to see that a truly Biblical understanding of Covenant Theology leads to believer's baptism rather than to infant baptism. For a long time, this was the best book available on this issue. Malone is a former Reformed paedobaptist who understands their views from the inside out. I was especially encouraged by his treatment of the promise of the New Covenant made in Jeremiah 31 and how this relates to the issue of baptism. This is an outstanding book that offers many of the same arguments found in Jewett's book, but it is even better in my opinion. It is temporarily out of print, but I look for Founders Press to make it available again soon. Until then there are copies available on Amazon.com. 3) Believer's Baptism: Sign of the New Covenant in Christ edited by Thomas R. Schreiner and Shawn D. Wright. Since so many have asked me for such material over the years, I hope that these recommendations will be helpful to the blog's readers. Does the Bible require that the Lord's Supper be celebrated only as part of a “full meal”? Foreign though it may seem to the contemporary church, the first-century church enjoyed the Lord’s Supper as a banquet that foreshadowed the Marriage Supper of the Lamb. It was not until after the close of the New Testament era that the early church fathers altered the Lord’s Supper from its pristine form. Recognizing the difficulty of advocating a view that has not been commonly accepted by Christians for the past two millennia, Atkerson has to give some explanation for how it arose and became so predominant. So he argues that the early church fathers moved away from Scriptural practice and led the church to do the same. And even after the Reformation, the Church has still failed to grasp the true Scriptural teaching for nearly 500 years. But, of course, those in the House-Church Movement (HCM) who advocate such a view are required first to demonstrate that their own understanding of the Lord' s Supper really is the teaching of Scripture in the first place. Beresford Job (in an article entitled “The Apostles' Traditions - The Heart of the Matter: Part 4 - What the Bible Says!”) and Steve Atkerson (in the aforementioned article) have attempted to do just that, and it is to these arguments that I will now respond. I will list and discuss the crucial passages cited by these two men in support of their understanding. Along the way I will focus my attention primarily upon the arguments of Steve Atkerson, since he has made the more thorough case for the HCM position. Unless otherwise stated, all Scripture quotations by me are from the New King James Version. This passage is the best place to start our discussion, since it provides the background for the celebration of the Passover meal, the meal at which Jesus first instituted the Lord's Supper. Observe that the Passover meal itself consisted of only three required things: 1) the lamb (vs.3), 2) unleavened bread (vs.8), and 3) bitter herbs (vs.8). But these three essential elements of the Passover meal were not all that was required for a proper celebration of it. For example, there was also the requirement to place the blood of the lamb on the lintel and doorposts of the house where it was eaten (vs.7), the requirement to eat the entire lamb before morning or burn what was left (vs.10), the requirement to eat the meal standing with a belt on one's waist and sandals on one's feet (vs.11a), and the requirement to eat the whole meal in haste (vs.11b). Observe also that there is no mention at all of the fruit of the vine, although we may imagine that they drank something with the meal. At any rate, Jesus later saw no problem with drinking the fruit of the vine with the Passover as a part of a proper celebration of it. In fact, as we shall see below, He made it a required part of the Lord's Supper. As for why the specific elements (lamb, unleavened bread, and bitter herbs) of the meal itself were required, Christians can answer with certainty based upon later revelation that the lamb was slain as a type of Christ, “our Passover” (1 Cor. 5:7). The reason for the unleavened bread is not altogether clear from Exodus 12, but Moses later gives a reason for it – which may hint at a reason for the bitter herbs as well – when he reviews the Passover requirement in Deuteronomy. So, the unleavened bread – and apparently also the bitter herbs – was eaten primarily as a reminder of their affliction in Egypt. Perhaps this is the main reason Jesus also chose it to symbolize His body, given the great affliction He endured for our sins. We cannot be certain of this particular point, but we can be certain as to what Jesus taught were the required elements of the Lord's Supper, to which we will now turn our attention. First, notice that from among the required elements of the Passover meal Jesus selected only the unleavened bread as an essential element of the Lord's Supper. The lamb was no longer required for obvious reasons; it had found its fulfillment in Jesus' sacrifice for our sins. And as for the bitter herbs, they are not mentioned at all by Jesus. Second, the fruit of the vine was not – as we have previously seen – a required element of the Passover. It appears that Jesus chose it not to replace one of the required elements of the Passover meal as such, but rather as a replacement for the blood of the Lamb that was to be put on the two doorposts and on the lintel of the house. That blood of the lamb had pointed to the blood of Christ that was to be shed for our sins, but now the fruit of the vine would symbolize His blood. Thus, we can see that Jesus clearly dispensed with the Passover meal as previously required, and He required only two elements for future remembrance of Him, namely the bread and the fruit of the vine. Nowhere in these passages does He specify the need to eat or drink anything else. 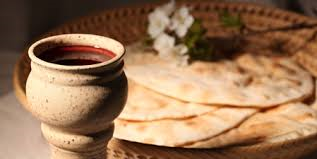 [T]he bread and wine of the Lord’s Supper were introduced in the context of a full meal, specifically, the Passover meal. Would the Twelve have somehow concluded that the newly instituted Lord’s Supper was not to be a true meal? Or would they naturally have assumed it to be a feast, just like the Passover? The answers are obvious. Well, I do not think the answers to these questions are so obvious, at least not the answers given by Atkerson. In fact, I would ask a number of questions in response. For example, given that the Passover requirements had been so specific, why would the Apostles assume that Jesus' instructions were any less so? That is, why would they automatically assume that He intended them to eat a larger meal when His specific instructions did not say so? In addition, if they did assume that Jesus intended that they eat a larger meal in conjunction with the bread and the fruit of the vine, would they not have assumed it to be the Passover meal? After all, as Atkerson himself correctly observes, it is this meal that provides the background for the Lord's Supper, not just any meal. Would Atkerson require us to eat the Lord's Supper with bitter herbs, with staffs in our hands, and in haste, for example? Would he require us to eat lamb? I seriously doubt it! But if these requirements of the Passover have been set aside, on what basis does Atkerson say that a larger meal – beyond anything specified by Jesus himself – should be required of Christians? That is, if that which made the Passover a meal in the first place – according to Atkerson – is no longer required, then why should we think that any other meal is required? Thus, the connection with the Passover simply does not provide an adequate basis for requiring that the Lord's Supper be eaten as part of a “full meal.” But Atkerson has other arguments for this, arguments that I think are better support for his view but which still do not prove his case. These arguments are based upon the future focus of the Lord's Supper. Jesus keenly desired to eat that last Passover with His disciples, saying that He would “not eat it again until it finds fulfillment in the kingdom of God ” (Lk 22:16 ). Note that Jesus looked forward to a time when He could eat the Passover again in the kingdom of God. Evidently, the “fulfillment” (Lk 22:16 ) of this was later written about by John in Revelation 19:7-9. There, John recorded an angel declaring, “Blessed are those who are invited to the wedding supper of the Lamb!” The Last Supper and the early church’s Lord’s Suppers all looked forward to a fulfillment in the wedding supper of the Lamb. What better way to typify a banquet than with a banquet? His future wedding banquet was much on our Lord’s mind that particular Passover evening. He mentioned it first at the beginning of the Passover feast (Lk 22:16 ). He mentioned it again when passing the cup, saying, “I will not drink again of the fruit of the vine until the kingdom of God comes” (Lk 22:18 ). Then, after the supper, He referred to it yet again, saying, “I confer on you a kingdom . . . so that you may eat and drink at my table in my kingdom ” (Lk 22:29 -30). Whereas modern Gentiles associate heaven with clouds and harps, first-century Jews thought of heaven as a time of feasting at Messiah’s table. This idea of eating and drinking at the Messiah’s table was common imagery in Jewish thought of the first century. For instance, a Jewish leader once said to Jesus, “Blessed is the man who will eat at the feast in the kingdom of God ” (Lk 14:15 ). Jesus Himself said that “many will come from the east and the west, and will take their places at the feast with Abraham, Isaac and Jacob in the kingdom of heaven” (Mt 8:11 ). I agree with Atkerson that the Lord's Supper looks forward to a fulfillment in the kingdom of God as Jesus said. I also agree that the Marriage Supper of the Lamb is most likely a reference to this fulfillment. However, the fact still remains that Jesus did not specify eating and drinking anything other than bread and the fruit of the vine in remembrance of Him and in anticipation of the future kingdom. It is not that I have a problem with HCM advocates observing the Lord's supper in the context of a larger meal in anticipation of the future kingdom. I actually think it could be a beautiful thing to do so long as the kinds of errors to which this may lead are avoided (errors that will be discussed below with reference to the church at Corinth). My problem with the HCM position is that it makes a requirement of something Jesus nowhere required. Where, I ask, in any of the Gospel passages cited by Atkerson do we find such a statement of Jesus? Also, since Jesus said He would not eat of the Passover meal again until the future consummation (Luke 22:16), why should we think that we must eat of such a meal? As a matter of fact, why should we not instead think that we ought to eat and drink only of the bread and the fruit of the vine that He specifically told us to eat and drink. Couldn't someone argue from this evidence that we should wait for Jesus to show up for that meal before we start eating it? Now, I of course am not going to argue in such a manner, because the text doesn't say we must not eat the Lord's Supper as a part of a larger meal any more than it says that we must. And that is my point. We should not make a requirement of something without clear Scriptural warrant. But what about the fact that at least one church in the New Testament era – the church at Corinth – did apparently observe the Lord's Supper in conjunction with the eating of a larger meal? Does this demonstrate that such a practice should be required of other churches? Let's take a look at the evidence in 1 Corinthians to find out. ...Paul indicates that the food and drink represents, among other things, the unity we have because of what Jesus accomplished for us in His death. The truly awful, and perfectly misleading, phrase 'Holy Communion' comes from the fact that in the Greek the word translated participation is koinonia, and means fellowship. Hence we have such associated words as communication, communique and communion. As stated earlier, the New Testament knows nothing of 'communion services', and the early churches shared bread and wine as part of a communal church meal - as simple as that! Without getting into the relative merits of the term communion, I would challenge what Job has said at at least two points. First, although the context of 1 Corinthians later indicates that the church at Corinth did apparently partake of the Lord's Supper in conjunction with a meal, it goes beyond the evidence to speak in general of “the early churches” as following this practice. Second, Paul does not make reference in these verses to any kind of meal as Job thinks of it. He refers only to the cup and the bread which symbolize the blood and body of Christ. From the nature of their abuse, it is evident that the Corinthian church regularly partook of the Lord’s Supper as a full meal. In contrast, very few people in modern churches would ever come to a typical Lord’s Supper service expecting to have physical hunger satisfied. Nor could they possibly get drunk from drinking a thimble-sized cup of wine (or much less, grape juice). The inspired solution for the Corinthian’s abuse of the Supper was not that the church cease eating it as a full meal. Instead, Paul wrote, “when you come together to eat, wait for each other.” Only those so famished or undisciplined or selfish that they could not wait for the others are instructed to “eat at home” (1Co 11:34 ). I would not say that the Corinthian church “regularly partook of the Lord's Supper as a full meal” (italics mine). Instead, I would say that they were partaking of the Lord's Supper in conjunction with a larger meal. There is a difference. Atkerson's way of stating it goes beyond what the text communicates by assuming that the Lord's Supper isn't the Lord's Supper at all if not partaken of as a part of a larger meal. But, as we shall see, the text does not demand this. I am also not sure I would agree with his characterization of the nature of Paul's solution to the problem. But I will respond to this later when I discuss verses 33-34. All that can be said with certainty from this passage is that the Corinthians were treating the Lord's Supper as if it were no different than any other meal, and that they were doing so in a selfish manner to boot. However, Paul tells them that if their goal is simply eating and drinking in order to satisfy their own physical hunger and thirst, then they should do that at home. Additionally, the word behind “supper” (1Co 11:20 ) is deipnon, which means "dinner, the main meal toward evening, banquet.” It never refers to anything less than a full meal, such as an appetizer, snack or hors d’oeuvres. What is the possibility that the authors of the New Testament would use deipnon to refer to the Lord’s “Supper” if it were not supposed to be a full meal? I would say that it is the strongest of possibilities that Paul would use the Greek word deípnon to refer to the Lord's Supper as something less than the kind of large meal that Atkerson supposes. Indeed, I would say it is a certainty that he would do so, since that is exactly what he did. The fact is that words mean what they mean in the contexts in which they are used, and here Paul uses deípnon in a context which indicates that it refers simply to the bread and cup as the only required elements of the Lord's Supper. This will become more apparent as we examine the larger context more fully, but for now I would only ask why a significant piece of bread and a glass of wine could not very well have been viewed as a meal by many first century believers? On what basis do HCM advocates import modern notions of what constitutes a meal back into the first century anyway? But then there is also the fact that a word can be put to a special use that doesn't necessarily convey its typical meaning, which seems to be the case with deípnon. For example, the Analytical Lexicon to the Greek New Testament, by Timothy and Barbara Friberg, says that deípnon can be used “figuratively, as a sacred meal with symbolic meaning attached ” and lists 1 Corinthians 11:20 as an example (BibleWorks #5939). Of course, I agree with HCM advocates that deípnon usually refers to an ordinary meal and can refer to the main meal of the day eaten toward evening, but Paul clearly was not using this word in the usual way. In fact, he contrasted his use of the word with the apparent understanding of the Corinthians. They were obviously thinking of just some ordinary supper, but Paul explicitly tells them that this is not the Lord's Supper (vs.20). Now, I suppose that HCM advocates could say that this doesn't mean that Paul does not see the Lord's Supper as including and requiring the eating of a larger meal. It only means that he sees it as something more than just an ordinary meal. Such an objection would carry significant weight if it wasn't for the context. For, as we shall see, in the context Paul clearly specifies what he sees as essential to the proper observance of the Lord's Supper, and he includes only the correct eating of the bread and drinking of the cup as such. If proper observance of the Lord's Supper did, in fact, require the eating of a "full meal" (such as HCM advocates suppose), then why does Paul not say that he received this from the Lord and handed it on to them? Why does he not say that Jesus taught – and he handed down to them – that we must eat a larger meal, beyond the bread and the cup, in remembrance of Christ? Instead, Paul just repeats exactly the teaching of Jesus. He stresses that it is the eating of the bread and the drinking of the cup alone that are to be done in remembrance of Christ. Thus it is the bread and cup that are the essence of the Lord's Supper, and there is no further requirement. Now, Paul does say that Jesus originally took the cup “after supper” (vs.25) and gave it its significance. And this fact may lead some HCM advocates to conclude that this assumes that a larger meal should be eaten between the eating of the bread and drinking of the cup. But the supper being referred to by Paul in verse 25 is the original supper at which Jesus instituted the Lord's Supper, i.e. the last Passover that He shared with the disciples. Paul isn't necessarily implying with this historical reference that the the proper observance of the Lord's Supper will be to eat the bread in remembrance of Christ, have a supper, and then drink the cup in remembrance of Him as well, since the Passover is a supper in which Christian's are no longer required to participate. Here again we have the future aspect of the Lord's Supper coming into view. But we also have the emphasis once again upon eating the bread and drinking the cup. Paul has consistently identified as crucial to a proper observance of the Lord's Supper these two things, and nothing more. Notice that it is only eating of the bread and drinking of the cup in an unworthy manner that constitutes the sin Paul is specifically confronting here. There are not many weak, sick, or even dead among them because they did not eat in a worthy manner of anything else that they may have had with the meal they were eating. But if Paul saw this larger meal as itself a necessary part of the Lord's Supper, wouldn't he have spoken more generally and told them that whatever they were eating or drinking together should be eaten and drunk in a worthy manner? However, if Paul saw only the bread and the fruit of the vine as the essential elements of the Lord's Supper, what he says makes perfect sense, since it is only these two things that he demands that they rightly observe. When Paul says “when you come together to eat, wait for one another,” is he referring to the larger meal they were apparently having in conjunction with the Lord's Supper? Or is he referring only to the immediately preceding verses in which he has specified the eating of the bread and drinking of the cup in a worthy manner? It is possible that he has the larger meal in mind, in which case Atkerson is correct to conclude that Paul did not mind their continuing to eat this larger meal. But I think that the immediately preceding verses indicate that he is referring here more specifically to the bread and the cup. I also think that his command in the next verse makes this more probable. For the next thing that Paul says it that, “if anyone is hungry, let him eat at home.” This means that Paul did not see the satisfaction of physical hunger as the point of the Lord's Supper, but isn't this at least a part of the reason people come together to eat a “full meal”? However, the point of the Lord's Supper for Paul is clearly not the satisfaction of physical hunger, but rather that bread is eaten and the fruit of the vine is drunk in remembrance of Christ and looking forward to the future kingdom. But even if Paul had no problem with their eating a larger meal in conjunction with the Lord's Supper, this does not indicate that he viewed this larger meal as necessary to it, which he clearly did not. That Paul allowed a practice does not mean that he required it. This is why I would see no problem at all with churches who may partake of the Lord's Supper in conjunction with a larger meal. I would simply caution them to avoid the excesses and abuses of the Corinthian church, abuses that apparently arose – at least in part – precisely because they chose to partake of the Lord's Supper in this manner. And I would also warn them against making a requirement of something not clearly required in Scripture. Love feasts! What love feasts? Churches don't have love feasts at which some people might be blemishes, do they? Well, any Bible scholar will tell you that the churches in the New Testament did have love feasts when they met; and here we have another of the names they used for the Lord's Supper! What about your church then? Where is there any clear reference in this verse to the Lord's Supper? It may be that later Christian writings used the term agápai to refer to the Lord's Supper, as seems to be implied here by Job. But where is the evidence of this in Jude? I conclude that this verse has no clear bearing on the subject. Well, that covers the Biblical case made by HCM advocates as represented by Beresford Job and Steve Atkerson. We have seen why it is that the Church for so many centuries has not held as necessary the eating of a larger meal with the Lord's Supper. It is not because so many Christians have been so blinded to the correct reading of Scripture at this point. Rather it is simply because there is no such requirement in Scripture. In conclusion I would just say that, while I see no real problem with the practice of HCM churches regarding the Lord's Supper, I am once again troubled by their tendency to make requirements of things not clearly commanded in Scripture. This is a dangerous trend which I will address again in a later post. Stay tuned for the next post in this series, in which I will respond to the House-Church Movement's treatment of elder leadership. To help answer your burning questions, two teachers of The Secret, James Arthur Ray and the Rev. Dr. Michael Beckwith, are back. Michael says he thinks The Secret is alluring because it helps people stop feeling like victims. "I think us talking about the law of attraction, talking about these universal spiritual principles, allows them to see that they can begin to govern their thoughts and their way of life," he says. 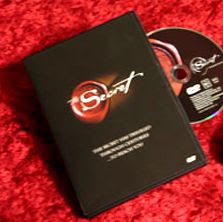 In addition to this description, there are a number of segments devoted to The Secret at Oprah.com. But one can also go to the website of The Secret, click on "Learn About The Secret," and watch about 25 minutes of the movie. After having done so, what I discovered is that The Secret is really no secret at all; it is just another rehashed version of the old "power of positive thinking" nonsense. It is designed to teach "the secret" to getting whatever you want, which they call the "law of attraction." This law is that you attract—and thus cause to happen in your life— whatever you can consistently think, whether good or bad. It teaches that a person's life is a physical manifestation of what they think. The movie acknowledges that it is very hard to control our thoughts, however, but it offers as a solution our feelings as the best monitor of our thinking. Basically, if we feel good, we are thinking the right way, and if we feel bad we are thinking wrongly. It also tries to tie the law of attraction into quantum physics and to make it sound scientific. But, of course, there is nothing new or scientific about it. It is just another warmed-over version of the same old lie. Actually, it looks like the latest New Age fad to me, and it appears to be focused entirely upon how best to make ourselves feel good by giving us our most selfish desires. It appeals to the lust of the flesh and directs us to look inward for the source of happiness. But as Christians we know the danger of looking inward to ourselves for happiness. We remember and believe the warning of Jeremiah that "the heart is deceitful above all things, and desperately wicked" (17:9). We know the danger of self-deception that lurks within us and leads us away from the true source of happiness, which is found in a right relationship with God through Jesus Christ. It is found not by seeking the answer from within, but by looking outside ourselves to God.